Ohio Jumbo Loan Guide new updates valid through 2019: Home buyers now have Jumbo mortgage options up to 95% loan to value. Only 5% down payment is needed for loan amounts up to $1,950,000. This is great for buyers purchasing in higher costs location like Columbus, Cleveland, and Cincinnati. Below we will review the latest guidelines and requirements home buyers will want to know before applying. Read more about Jumbo Purchase requirement here. The process of obtaining a jumbo mortgage in Ohio is all about the ability to present standardized documents. More documentation is required for jumbo loans when compared with loans of a lower amount. The borrowers for this loan need to be able to present their financial situation in an ideal manner using tax returns for the previous 2 years. Income statements for the previous 3 months are also required. 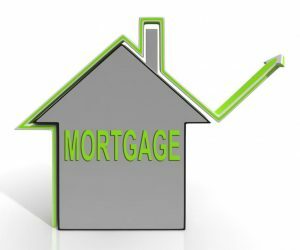 Lenders will want to ensure the buyer’s debt to income can support the mortgage obligation. Select lenders in OH are now accepting low down payments which are as low as 5% for jumbo mortgage loans. These lower down payment options are enticing for borrowers, but it is always better to select a down payment of 10% or more when possible. It’s simple: mortgage interest rates are tied to risk and higher loan to values of 95% carry higher risk. It may take you some time to be able to save enough money to afford a larger down payment, but most experts believe that a down payment of 10% is ideal when buying a luxury property and can reduce the buyer’s interest rate by ½ percent in some cases. The required credit score will depend on your loan amount and down payment. If a buyer is financing 95%, they will need a min 700 credit score with no serious financial issues in the previous 5 years. Borrowers with lower credit score down to 660 can be approved, but they need to plan on a down payment of 10%+ Higher credit scores allow the buyers to get the mortgage loan at the best interest rate and produces a lot of savings in terms of the interest payment that needs to be made for the mortgage in the coming years. Another important requirement for jumbo loans is the ability to show asset reserves. These are normally explained in terms of monthly payments. Most lenders ask for asset reserves of 3-18 months, depending on the down payment and loan amount. This means that borrowers have to show the financial capacity to be able to pay X amount of monthly installments of the mortgage either through cash reserves or traditional retirements accounts. Buyers can also find some helpful Jumbo Purchase FAQ’s here. Call us 7 days a week at ph: 800-962-02677 or for fast service just submit the Quick Contact form on this page. Mobile users will find the form below.